Buy GeekTheHalls a Coffee. ko-fi.com/geekthehalls - Ko-fi ❤️ Where creators get paid by fans, with a 'Buy Me a Coffee' button. Hello and thank you for visiting! 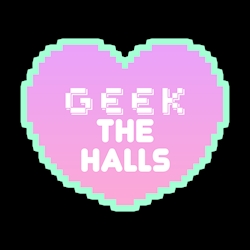 My name is Stephanie and I own a little shop called Geek The Halls. Most people know me for making fandom-based ornaments, but I have been branching out quite a bit into different mediums. Currently, I'm becoming more known for my resin pieces. I love what I do so much and I would not be here without the love and support of all of you! If you enjoy my work and want to see me and my shop grow, please consider buying me a coffee. Thank you so much! Secured Payments. Support goes to GeekTheHalls's account. Upgrade GeekTheHalls to a yearly Gold Membership with a one-time payment.